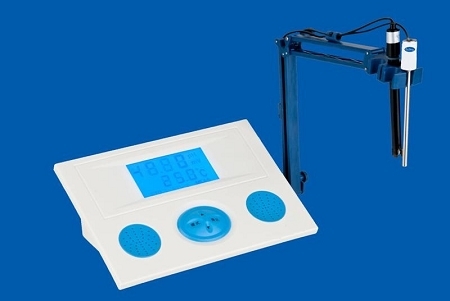 Large screen, LCD display,dual parameter. Automatic buffer recognition and two-point calibration. Manual and automatic temperature compensation. Simultaneous measurement or display of pH value, temperature and mV(ORP). It is equipped with pH combined electrode, temperature sensor and buffer.